No lossy recordings were used in the production of this review. I will confess at the outset that I’m a fan of tube preamps and amps. I’ve owned a number of different varieties over the years from Class AB push/pull to Class A SET and I have to admit that I am very impressed with what Tsakiridis Devices have to offer sonically and aesthetically in the Alexander and the Artemis. 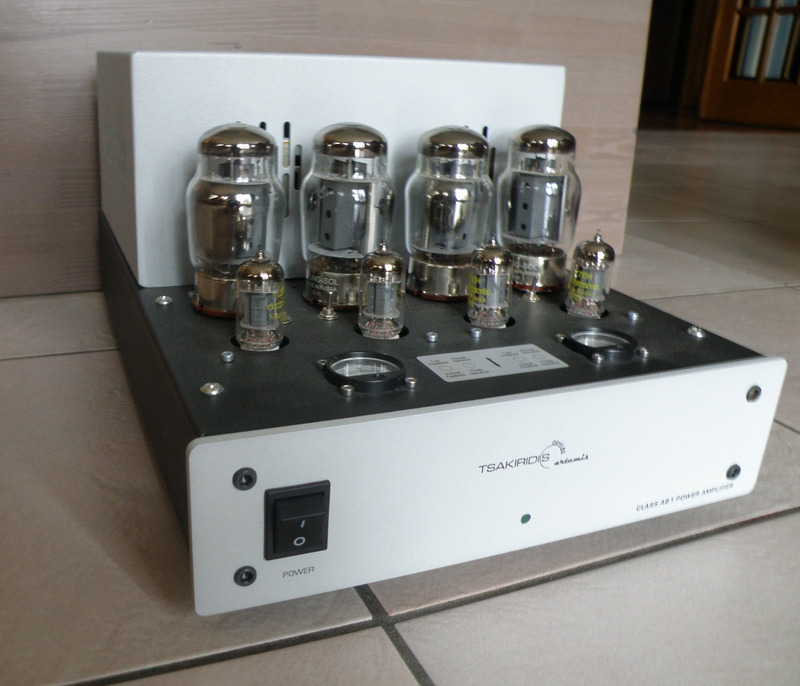 Both the preamp and the amp use 12AT7s as the input tube to really good effect. My initial impression out of the box was that the music cast a large soundstage on my Tyler Acoustics that placed instruments and voices very clearly in the room, that there was ample bass reproduction that was lively and tuneful, and the dynamics of a wide range of music were very accurately recreated. Now on to the technical details. Tsakiridis Devices’ Alexander preamp comes with a remote control (which controls the volume and input selection) that I did not have access to for this review. The preamp has six line inputs with a tape out. One of those inputs is balanced, while the other five are your more traditional non-balanced RCA inputs. There is a balanced and a non-balanced output. Input selection is interestingly covered by high-grade selection relays as opposed to a traditional potentiometer. Not having the remote, I experienced first-hand the satisfying sound of the relay kicking into effect (N.B. There is absolutely no speaker noise on relay switching). The input relays are operated by two toggles (up and down) that allow you to move through the various inputs. The default input is the balanced one, so I always had to switch the input initially to get to my source. Not a big deal, though. The volume control is covered by a high grade ALPS potentiometer. The 12AT7 input tubes are matched Electro-Harmonix from current Russian production. The preamp is powered by four independent DC power supplies, two independent hand-made power transformers, and a choke. The power supply uses United Chemicon capacitors, while high grade polypropylene capacitors and low tolerance metal resistors are used throughout the design. Both the input and output connectors are gold-plated ones by Ultimax. I immediately liked the sound of this preamp as it was revealing, clear, and remarkably subtle in its handling of disparate music. The preamp is very straightforward to use in terms of volume control and input selection. The display is a green LCD rectangle that has predetermined source names for the inputs. I don’t know if these are changeable, but the display is nice enough and functional as is. The metal faceplate is matte, grey, and a little bland. The preamp is no design beauty, especially compared with the power amp, but it is extremely hefty and solid – purposeful. It reminded me of some of Nelson Pass’ First Watt amps. The top of the preamp has a rather striking laser-cutout design in the metal that is dynamic and engaging, and functionally dissipates heat, but unless you have your equipment out and visible from above (I don’t), then much of that beautiful design is hidden. But it is hard to write about the Alexander without detailing how it synergistically dovetails with and complements the Artemis power amp. The Artemis is a formidable and heavy beast of an amp. With a dual mono construction consisting of four 12AT7s and four 6550s (two each per side) that results in 45 watts of Class AB push-pull power in pentode mode and 28 watts in triode mode, there is plenty of juice to power most reasonably sensitive speakers. The stock tubes are matched Electro-Harmonix 12AT7s and Tung-Sol 6550s (I did no tube rolling for this review). Feedback is switchable from 6dB (low) to 9dB (normal). Like the Alexander, there are United Chemicon resistors for the hand-made, ultrilinear, and layered output transformers, with low tolerance metal resistors and high grade polypropylene signal capacitors throughout. There are also custom gold-plated input connectors and WBT output connectors. I should also note that along with a list of many of these features, Tsakiridis Devices offers a five year guarantee on both the preamp and the amp. I don’t know if that covers tubes, but you can rest easy that you are covered if you encounter a difficulty with a Tsakiridis Devices product. The Artemis comes in two configurations with different output tubes, either 6550s or EL34s. The EL34 version has a slightly more modest output of 35 watts in pentode mode. The Artemis is a reasonably large and heavy amp with open tubes. It is unabashedly proud of its use of valves and, at night, listening to this amp in the dark you can really see the glow of the quad of 6550s. There are two bias meters on the front of the amp that are brightly lit. I didn’t get a chance to bias the amp because the biasing tool was unavailable, but although the process looked a little finicky, I’m sure with some patience it would be reasonable to accomplish. The pentode and triode mode are switchable by a toggle located near the output tubes, so it can be a little hot (always switch the amp off before switching between modes) when you are changing back and forth. The same goes for the feedback toggle. 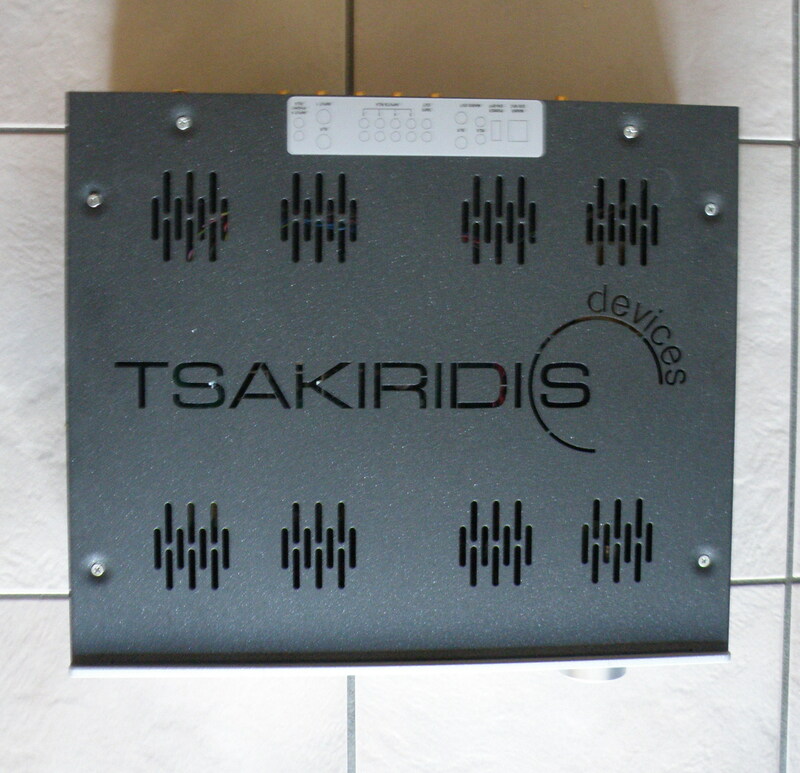 Tsakiridis Devices is a family-owned Greek company specializing in audio equipment since 1987. The combination of the Alexander and the Artemis are a terrific hit in my opinion because of all the things they do superbly well. The Alexander (likely named after Alexander the Great) is an extremely quiet preamp that can stomp over a wide-range of territories conquering them all while remaining determinedly grounded and even like a well-versed diplomat. While the Artemis (Greek goddess of the hunt) provides the more than ample firepower in pentode mode to back up any imperial ambition of the Alexander, while also retaining the linearity and poise in triode mode for more laidback fare. Extended metaphors aside, I did the majority of my listening with the Artemis in triode mode primarily because of the sensitivity of my Tyler Acoustics PD15s (98 dB). This will be the one slightly negative point I will make about the Artemis, there is a slight hum audible at my seat when listening in pentode configuration. Now, switching to low feedback did help with this slight problem, but it was noticeable nonetheless. If, for example, you have speakers with a reasonable sensitivity (i.e., anything under 94dB), I truly believe you will not be troubled one iota by this problem, as was the case when I listened with a set of Totem Dreamcatchers. In that case, their 90dB sensitivity rendered the hum inaudible. Also, in triode mode the hum was not noticeable at a listening distance on my Tyler Acoustics. I threw a lot of different music at this powerful preamp amp combination to see how they handle it. 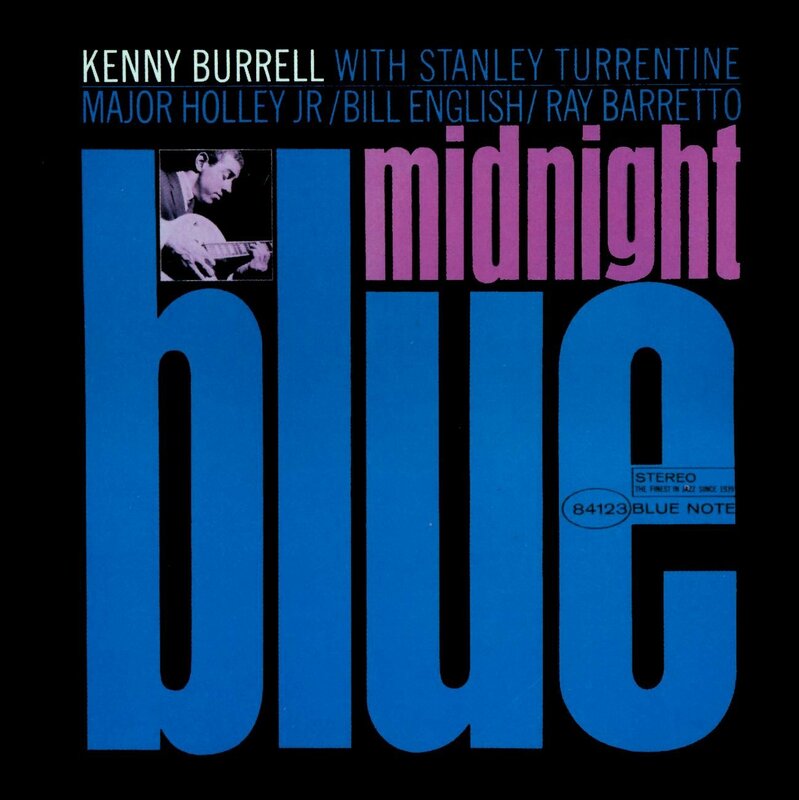 Listening to Kenny Burrell’s Midnight Blue was a joy both because the Tsakiridis Devices combo got the recording so right, but also because I was made to appreciate Rudy Van Gelder’s recording virtuosity all over again. As I am so familiar with this album, that is no easy task. The opening percussion runs on Chitlins con Carne were dynamic and quick with a really beautiful sense of presence. I felt like I was in the studio hanging out listening as things went down. Burrell’s tone and attack were also captured quite elegantly and tunefully by the Tsakiridis Devices’ combination. When Stanley Turrentine finally starts blowing in the right channel, I felt like I could hear the faintest hint of him breathing when he comes in. It was a truly transparent rendering. On Mule, a great track for seeing how a system handles acoustic bass, the Alexander and Artemis are up to the task again and again. The bass was full and lively and the combination had no trouble pushing the 15” woofers on my speakers. Bass clearly extended in the room and was more than loud enough for the dynamics of the song. Perhaps that is a point that needs to be mentioned more than once, the Alexander / Artemis combination were remarkably good at capturing the liveliness of a recording. They have what many call PRaT. Their pacing, rhythm, and timing are just so. When I was younger, I used to talk to my father about the rightness of certain things. A word, an image, a sound, a collection of notes can all have a sense of rightness when they are properly released. The Alexander / Artemis combination have a lot of rightness in their sound. 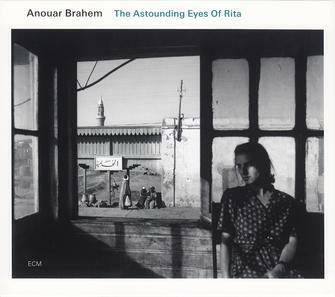 When I listened to Anouar Brahem’s recording The Astounding Eyes of Rita, I was touched by a familiar album made fresh. I heard transients and space in the recording that were both novel and compelling for me. Brahem’s oud playing is well-captured by the sound engineers and the faintest sound is presented nakedly here. It is a great record to hear contemporary Tunisian music in a spartan setting. The reverberations of the sound through the Alexander / Artemis combination extended well past the edges of my speakers and caused me to become completely immersed in the music. They handled the percussion strikes in this music so ably that I found myself returning to the beginning of a song after listening just to see if what I had heard was actually there. In other words, I was hearing things that I hadn’t heard before. Just for kicks, I set up a pair of Totem Acoustic Dreamcatchers from another system and listened to them. Their 90 dB, 4 ohm load was no problem for the Alexander / Artemis combination. I was actually rather astonished by how good the Tsakiridis Devices equipment made the Totems sound. There was not the same level of bass, but there was a real tuneful synergy in the critical midrange. The soundstage from the tiny speakers was astonishingly large through the Alexander / Artemis combination. I listened to four or five albums on the rather diminutive speakers and decided the experiment was a success. The Tsakiridis Devices’ equipment made relatively inexpensive speakers sound fantastic. I listened to album after album, from classical like Glenn Gould playing solo to country by Townes Van Zandt, from blues by Buddy Guy and Lightnin’ Hopkins to vocal jazz by Melody Gardot and Patricia Barber, from electronica by Daft Punk to rock by Fleetwood Mac and Blind Faith, and my conclusion is that there is not much this preamp and amp can’t handle. They play well at low volumes and maintain the complexity of music, but when you give them even a little juice they can really soar and make a tremendous musical representation of both spare and complex works. Dynamic, full, and exciting, the Alexander / Artemis combination has conquered my listening space and, if it came with a built-in phono stage, they would be staying for a long while. If either this preamp or amp or the dynamic combination are within your budget, I would say they need to be on your shortlist of choices in their price range. Nice first review for WOS Jon. Thanks, guys. I appreciate your support. Writing here is a real pleasure.